The tie ebbed and flowed with the two WSB stalwarts chasing victory, and it went right down to the wire as the Heavyweights decided the contest, Anton Pinchuk’s fine display sending the resolute Arlans back to Kazakhstan with the points. It was the Patriot’s 25-year-old European Games gold medallist Bator Sagaluev who got the hosts’ new season up and running in grand style with an impressive opening three minutes of Light Flyweight (49kg) boxing. 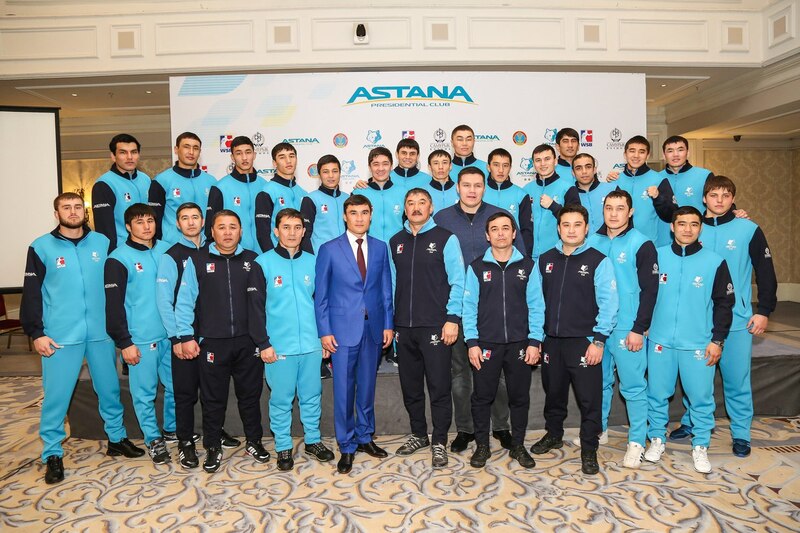 That helped the Russian build up a commanding lead at the halfway stage, and even a rousing finale from the Arlans’ experienced ASBC Champion Temirtas Zhussupov could not turn the bout around. The early advantage secured, it looked like the perfect time for Patriots’ Artem Khotenov to make his WSB debut at Bantamweight (56kg), but Kazakhstan’s 2014 Asian Games winner Ilyas Suleimenov found some sparkling form and precision punches as the bout went on, turning back a two-round deficit with three blistering rounds of his own to level the match. The match tied at 1-1, it was time for the battle of the Light Welterweight (64kg) debutants, as the Russian Radmir Abdurakhmanov met Kazakhstan’s 21-year-old Dilmurat Mizhitov. Epitomising the match as a whole, both boxers enjoyed periods of supremacy, Abdurakhmanov’s aggressive style bringing early success before his opponent fought his way back into contention with some quick counters and lightening footwork, and the Moscow crowd erupted as the Patriot earned the judges’ split decision and a 2-1 lead for his team. The evening’s Middleweight (75kg) encounter between another new face for the Patriot Boxing Team, World Military Games winner Radzhab Radzhabov, and 19-year-old rising Kazakh star Abilkhan Amankul lived up to the pre-match hype as the Arlans’ prospect romped into an early lead only to be checked by the sheer spirit and determination of Radkhabov. Ultimately it was to be a fruitless fightback for the Patriot, Amankul’s overall prowess earning the split decision to take the match down to the final bout. Step forward two exceptional Heavyweights (91kg), Patriots’ Ilia Kvasnikov and the Arlans’ Anton Pinchuk to settle the contest. It was the visitors’ ASBC Asian Champion and WSB debutant Pinchuk who took the fight to his opponent, containing Kvasnikov’s attacks superbly to earn a unanimous points win and a valuable first away win of Season VII for the Kazakh side.